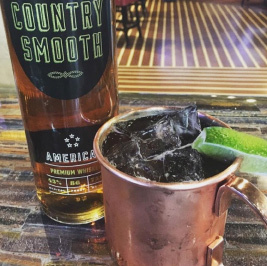 Pour CS whiskey, lime juice and bitters into a copper mug; add ice cubes and ginger beer. Stir to combine. Place lime wedge.